Has anyone ever watched Once Upon A Time? I used to, until it got awful imo lol but the series finale happened and I was watching the ending clip. The show is about the characters of fairy tales. I loved the ending- Regina was Snow White's evil stepmother and was just so mean and evil in the beginning. She did horrid stuff actually. Killed her own dad. Ruins lots of lives initially. But over time she became a better person and people she *directly* hurt in cruel ways began to love her and she grew to care for them. She had sparks that showed she could change though- like her love for her adoptive son, who always believed there was good in her. And here at the end, she was elected the queen of their kingdom, which is a total 180 from the first episode. I loved what she said at the end about not having an ending but a second chance. But all this is quite obvious when you realize this show is about love and family and it's a fairy tale! If this show went by anti's ways, Regina would have tragically died to pay for what she did. Instead, she gets a new beginning. I think most bad guys became good in the end. One really bad guy did die but apparently he was reunited with his true love in their afterlife so even for him it's happy. Watching Jared Gilmore as dark Henry was awesome but also super disturbing. Why did you guys decide to go so dark with him, but then still redeem him in the end? Kitsis: Well, the show was about hope and the show is about, "evil isn't born, it's made," and there's redemption for everyone. If you become the best version of yourself, you can start over. Just because you did something bad or you lived badly, it doesn't mean that's it for you. That was always the message of the show, so if the Evil Queen can become the Good Queen, for us, watching her help [Henry] in any form was a part of that. @rey09 - I have never seen it rey09- but.. Now I really want to!! Awh!!! I love the SW themes of forgiveness, acceptance and love. All stuff up at some point in life. I know I have.. more regularly than I wish I did..
@DeeBee wrote: @rey09 - I have never seen it rey09- but.. Now I really want to!! Awh!!! The first two seasons are good! Then it gets convoluted. I really loved the hate to love relationship in it, has reylo elements loll. I stopped watching after Emma left. The first two seasons were awesome. So I was listening to 'Torn Apart' from the TFA soundtrack aka the other sad Kylo theme from Hans death scene (I don't listen to it often because it's too painful ) and nobody ever talks about this but the bit from 0:34-0:56 is short but extremely moving, poignant and gorgeous. Then I watched the scene after and that music doesn't play at all, it's only available on the OST. Kind of miffed about that and I hope it shows up in IX somehow more fleshed out. It is really sad though. @Kylo Rey wrote: So I was listening to 'Torn Apart' from the TFA soundtrack aka the other sad Kylo theme from Hans death scene (I don't listen to it often because it's too painful ) and nobody ever talks about this but the bit from 0:34-0:56 is short but extremely moving, poignant and gorgeous. 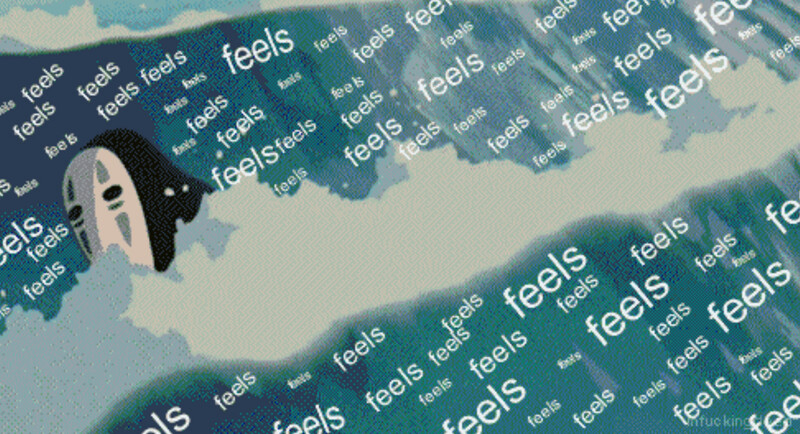 Then I watched the scene after and that music doesn't play at all, it's only available on the OST. Kind of miffed about that and I hope it shows up in IX somehow more fleshed out. It is really sad though. I like TFA soundtrack in general, there’re many pieces that are beautiful and memorable. I know some of you guys like John Williams a lot and I do as well but I’ve always felt he’s an author of these iconic pieces - not soundtracks. His work is pretty impressive and he’s composed for so many well-known movies but when I watch the OT and PT for example, I never remember the music and it doesn’t add to my overall reception of the film - until the piece comes up, such as ‘Duel of the Fates’ in TPM, ‘Across the Stars’ in AotC and so on. TFA is quite an exception for me in this case cos already upon my first viewing I paid attention to its soundtrack, I liked it and it elevated my impressions regarding the movie. I've been having some major feels about Han and Ben recently, and I just hope you'll all indulge my ramblings. Disclaimer: I haven't watched Solo. When Star Wars debuted with ANH in 1977, no one could have imagined that an innocuous, small pair of golden dice relegated to background furnishing for Han Solo's trusty but battered piece of junk Millennium Falcon would ever take on an almost bemusing amount of meaning and importance in the story of his fallen tormented son, over 40 years later. And yet with the release of TLJ and subsequent canon extended materials, as well as Solo, the parallels and love a son had for his father are being highlighted again and again. "You have too much of your father's heart in you, young Solo" berates Snoke, pinpointing Ben's weakness yet also revealing the truth that he keeps denying himself. The unexpected consequences of this is that a horrifying act of murder committed on the precipice of conflict, with a man seemingly having fully immersed himself into the Dark Side as he fulfilled his master's wishes may instead be the beacon which lights his way to salvation. Tragic irony at it's finest - worthy of Shakespeare. It's fair to deduce now that the overarching theme of the ST is a story about a father and his son, just like the OT was for Luke and Vader. Yet the roles are reversed. In the OT, it was Luke Skywalker, prodigal son, who overcame his shadow to redeem his father, a broken spirit, more machine than man, through the power of love. In the ST, the hope is yet that the father will redeem the son, through sacrifice, love and remembrance. In The Last Jedi, the dice symbolises Han and all the loss, heartbreak and grief associated with him - as well as a family torn apart. In the climax of the film, Luke transforms them into a symbol of hope and consolation for his sister, who then in turn leaves them behind for her son, as a reminder of his past, and perhaps, a symbol of her ever enduring love. With the release of Solo of course, they are transformed into something happier - the symbol of luck and hope they originally were, as well as romantic connotations. As Ben looks down on them, caressing the chain with tears in his eyes, they too, vanish from his hands, a sad reminder that he is all alone with pain and regret the overwhelming emotions. But while all seems lost, it's interesting that when Ben picks up the dice, it almost seems to trigger the connection to Rey, and thereby the Millennium Falcon. 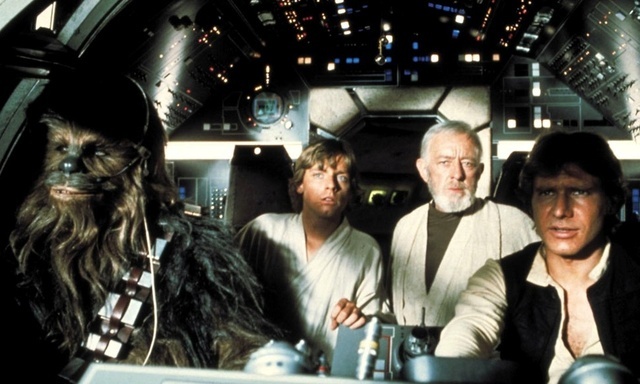 The dice may have vanished, but the real dice are still there, hanging in his father's Falcon. Lighting the beacon to his path home, the dice symbolise chance. Han Solo represents all the mundane and ordinary elements of Ben Solo. The rogue scoundrel with a heart of gold hailing from a life of poverty who represents the everyman. The complete antithesis of Ben Solo's legendary Skywalker heritage - twisted and pounced upon by masters as a pawn resulting from their hubris. 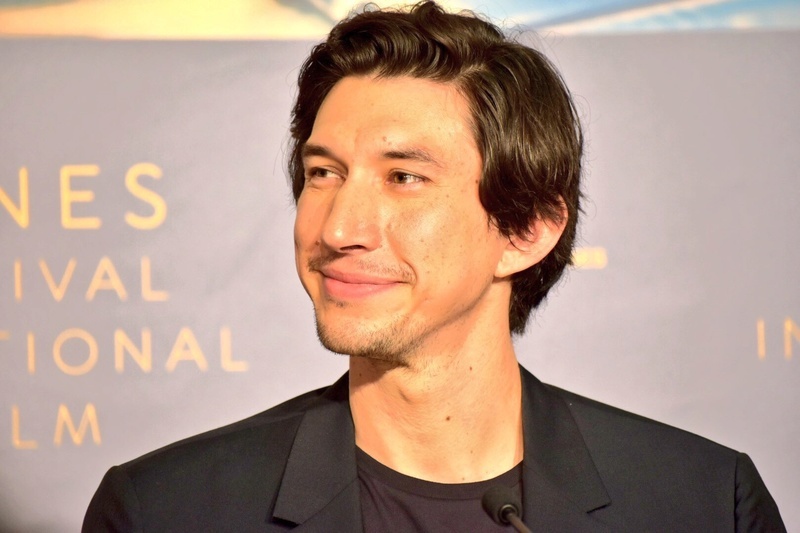 Defined solely by his lineage and conditioned by his masters, Ben Solo comes to share a distaste for his father's low origins, all while still loving him in a deep, bitter resentment. The denial is an emblematic part of his failings. Whether Ben realises it or not, his father represented true freedom, something he desperately yearns for. As Han proclaims in the OT: "there's no mystical energy field that controls my destiny!" Unlike every single Skywalker who is driven and bound by their destiny (yes, even Leia), always committing themselves to a greater cause (whether it be Jedi, Republic, Empire, FO), Han always asserted his agency, even after coming to terms with the Force. His actions in the OT (helping the Rebellion, leaving, coming back again etc) were always through his own volition. Ironically, Han and Ben are both looking for freedom (one from poverty and the other from royalty/legacy). The difference is that while Ben has subsumed part of the message ("Let the past die"), he's still only halfway there and is still a slave to his emotions/decisions/legacy even whilst he preaches the opposite. As ever with Kylo, it's always contradictory and rooted in tragic denial. Ben needs to follow in his father's footsteps and come to the realisation that you can disagree with something, even vehemently so, (Han thought the Rebellion were a bunch of morons at the beginning), but you can walk away and let go of your obsession. The only way he can actually let the past die and truly become what he wants to be is not to destroy every single thing of worth in your past, but just to let it be. Discard the pain and hold on to what you love. Or as Rose Tico would say by "not fighting what we hate, but saving what we love." Against all odds, the father lives on in the son. Kylo Rey I love your self described ‘ramblings’ – thanks so much for sharing! I also think it’s really great that you shared this before you’ve seen Solo – once you’ve seen it, maybe you’d like to share some additional ramblings? Yeah I never noticed the dice in the OT until I heard they were featured in TLJ and of the connection to ANH. It’s very cool. @Kylo Rey wrote: The unexpected consequences of this is that a horrifying act of murder committed on the precipice of conflict, with a man seemingly having fully immersed himself into the Dark Side as he fulfilled his master's wishes may instead be the beacon which lights his way to salvation. Tragic irony at it's finest - worthy of Shakespeare. It's fair to deduce now that the overarching theme of the ST is a story about a father and his son, just like the OT was for Luke and Vader. Yet the roles are reversed. In the OT, it was Luke Skywalker, prodigal son, who overcame his shadow to redeem his father, a broken spirit, more machine than man, through the power of love. In the ST, the hope is yet that the father will redeem the son, through sacrifice, love and remembrance. Love the bolded.. It’s such a beautiful story that is unfolding on so many levels!! @Kylo Rey wrote: In The Last Jedi, the dice symbolise Han and all the loss, heartbreak and grief associated with him - as well as a family torn apart. In the climax of the film, Luke transforms them into a symbol of hope and consolation for his sister, who then in turn leaves them behind for her son, as a reminder of his past, and perhaps, a symbol of her ever enduring love. With the release of Solo of course, they are transformed into something happier - the symbol of luck and hope they originally were, as well as romantic connotations. As Ben looks down on them, caressing the chain with tears in his eyes, they too, vanish from his hands, a sad reminder that he is all alone with pain and regret the overwhelming emotions. But while all seems lost, it's interesting that when Ben picks up the dice, it almost seems to trigger the connection to Rey, and thereby the Millennium Falcon. The dice may have vanished, but the real dice are still there, hanging in his father's Falcon. Lighting the beacon to his path home, the dice symbolise chance. This is storytelling that really resonates with me- I love your description! The dice symbolise chance – yes, and I think they can also represent destiny – maybe this is considered an opposite of chance, but what seems to be chance can turn out to be destiny and the force at work in things.. I love how the databank describes this moment of Kylo finding the dice in kylo’s bio. It says “ He discovered his father’s dice lying in the salt, but they vanished in his hand – another trick of the Force. “ – the dice didn’t disappear the moment Luke ended his force projection – they lingered.. like the force wanted Kylo to find them, to reconnect Kylo with his father and who he is. The dice can symbolise Kylo's heritage and therefore his destiny. The next line of the bio goes on to say “And when the Force reconnected him with Rey, she shut him out.” – that the bond was activated in that moment is significant I agree with you.. yeah! get an eye full Kylo – there’s Rey, the MF, and your mother’s resistance under her care, and your all alone! I think the force is working hard to reveal to Kylo that he is not at all victorious here – and that the force has a different destiny in store for him.. if he will listen.. will he listen? Or resist it? We will need to wait for IX to find out. Haaaa I see you think the dice are still hanging in the falcon. I recently had a go trying to figure out what we know of the dice’s final location..checking all scenes with the MF cockpit after Luke takes the dice, the databank, the expanded novelisation - I concluded at this time that they are either on Ahch-to or on the Falcon, and there is currently no way to know. I can't rule either option out. I don't currently have access to the visual dictionary or the junior novelisation.. Curious to hear what others think?? @Kylo Rey wrote: Ben needs to follow in his father's footsteps and come to the realisation that you can disagree with something, even vehemently so, (Han thought the Rebellion were a bunch of morons at the beginning), but you can walk away and let go of your obsession. The only way he can actually let the past die and truly become what he wants to be is not to destroy every single thing of worth in your past, but just to let it be. Discard the pain and hold on to what you love. Or as Rose Tico would say by "not fighting what we hate, but saving what we love." Against all odds, the father lives on in the son. I'm curious to hear what you guys make of this.. for anyone interested..
Once the star wars databank was updated with all the new TLJ content in early May 2018, I was curious to see the different way Kylo Ren's main summary entry is being handled compared to other main characters. So far, the main summary blurb does not include any specific TLJ content. Nothing about killing his master or becoming SL. I’m especially curious because the last sentence is about Kylo’s struggle between light and dark – and some fans view becoming SL as his fully embracing the dark. So I keep checking from time to time to see if this gets updated… so far this is unchanged since the release of TLJ... It’s so curious, because for every other main character, with the May 2018 update of TLJ content, a line or two has been added to each character's databank entry main summary to cover the events of TLJ. Kylo Ren got nothing?? Is he just too spoilery?! Does anyone else find this lack of an updated curious? @Kylo Rey - This is outstanding and I think once you get a chance to see Solo, it'll hit home with you even more how everything you've covered is how that movie feeds back into the ST. Part of me is disappointed that they went there with making it another father-son story when mothers (and women's life experiences in general) have gotten such short shrift in the franchise. But it is what it is and once I started noticing these various details and Easter Eggs (plus you know, Harrison Ford changing the name to the name of his oldest son and the bridge scene/Solo being co-written by a father and son), I was like "this is what it has to be about." In the case of the OT, George Lucas was open that the father-son struggle was inspired by his own personal battles with his father wanting him to take over the family business instead of being a dreamer. Which he didn't want to do but he did learn enough from his father's business acumen to build up a far more lucrative business. With the ST, it's very much the tension of a parent (father) who comes from nothing making the wrong steps in trying to ensure that their own child (son) goes on to bigger and better things. IDK - if we'd had Rey as Han and Leia's daughter, maybe it would've been the Star Wars equivalent of Ladybird (or Mildred Pierce, LOL). Regardless, you just wrote up a summary of how all of these different details between three films, a YA novel, and various filmmaker interviews point to that being the idea behind it. I do think after IX comes out, you'll see a lot more people figuring this out, the same way it took TLJ for some people to see/acknowledge an "it's complicated" relationship between totally not platonic enemies. Also these are the details, especially the dice, where I'm like "there's a bigger reason than nostalgia or fan service" that we see motifs or phrases/ideas being repeated back and forth from different characters and in different films. I've seen a fair amount of snarking on the Golden Dice from reactions from fans on Twitter, including a whole "stop trying to make the dice happen, they were a tiny element in the first movie." Which first off, considering how much fans fixate on other minor details, it's like take a look in the mirror first. But more important is that the goddamn dice are there for a specific reason and represent that side of the family, Han's origins on Corellia and his accomplishments/aspirations, the way the legacy saber does the other one. Wow, that is interesting... I love the shift in focus from one movie to the next. The new description really hones in on what makes Ben sympathetic, complex and interesting. It's also longer. It's like the movie itself convinced whoever was writing this to spend a little more time on it. @snufkin wrote: @Kylo Rey - This is outstanding and I think once you get a chance to see Solo, it'll hit home with you even more how everything you've covered is how that movie feeds back into the ST. Part of me is disappointed that they went there with making it another father-son story when mothers (and women's life experiences in general) have gotten such short shrift in the franchise. But it is what it is and once I started noticing these various details and Easter Eggs (plus you know, Harrison Ford changing the name to the name of his oldest son and the bridge scene/Solo being co-written by a father and son), I was like "this is what it has to be about." In the case of the OT, George Lucas was open that the father-son struggle was inspired by his own personal battles with his father wanting him to take over the family business instead of being a dreamer. Which he didn't want to do but he did learn enough from his father's business acumen to build up a far more lucrative business. With the ST, it's very much the tension of a parent (father) who comes from nothing making the wrong steps in trying to ensure that their own child (son) goes on to bigger and better things. IDK - if we'd had Rey as Han and Leia's daughter, maybe it would've been the Star Wars equivalent of Ladybird (or Mildred Pierce, LOL). Regardless, you just wrote up a summary of how all of these different details between three films, a YA novel, and various filmmaker interviews point to that being the idea behind it. I do think after IX comes out, you'll see a lot more people figuring this out, the same way it took TLJ for some people to see/acknowledge an "it's complicated" relationship between totally not platonic enemies. Thanks! I'll probably have a ton more thoughts once I eventually watch Solo. I can't believe people are complaining about the dice . Like you said, they're now the equivalent of the legacy saber but for the Solo side of the family. Unlike Luke or even Leia, Han can't come back as a Force Ghost so the dice are the most tangible symbol of the father staying with the son, and of course, his forgiveness. The dice represent Han himself, and it's interesting that they seem to have retconned that he used the dice to win the MF, whilst also specifying that the dice were Ben's favourite childhood plaything - tying father and son together even further. Han let his boy play with the dice and it was no doubt his legacy that he was going to pass on to him someday, just as he would have no doubt inherited the Falcon. But like you said, once IX comes out, and the dice (will probably) pay an important role, people will realise what's going on and and realise how connected everything actually is. We only started realising the easter eggs and parallels with the release of TLJ and subsequent media, which has only been very recent but starting to give us an idea of overarching theme and ideas. As for Leia, once again I agree that it is very disappointing, particularly as there's so much prime material to explore with the Vader/Leia/Ben Father/Daughter/Grandson dark side axis, which is part of why Claudia Gray's Bloodline has been the best EU material so far, as it delves into the underxplored aspects of Leia's guilt and how it informed the relationship with her father, and thereby, how it plays out in how she raises Ben. They're very intricately linked. I suspect that IX was going to be a deconstruction for Leia like VII and VIII were for Han and Luke respectively. I will say though, choosing to have the only and last Skywalker be Leia's blood and progeny as well as fall to the dark side was incredibly risky and great, as it centers the narrative on her, and every galaxy wide effects and consequences her son's actions have (as well as hopefully bringing balance to the force), only serve to underline her importance. The fanboys are clearly mad about this too, as I've seen the argument so many times that Ben can't possibly be a Skywalker as he bears the Solo name. It recalibrates and recontextualises her place within the Skywalker legacy, in a way the OT never did. Rey being Luke's daughter and being the 'good cousin' to Kylo's 'evuuuul cousin' erases all of that, with Luke having the perfect Jedi daughter striking down Leia's evil cartoonish villainous son, leaving Leia with nothing and Luke with everything (not that that's how families work anyway LOL, something that seems to have escaped the antis big time). Honestly another (in a thousand) great argument against Rey Skywalker and everything that would represent. The only new Skywalker in this trilogy derives his force powers and legacy status from his mother, which is a big F-U to crappy fanboy theories, and that's beautiful. Hiya! For all other characters, the main page summary on a character's databank entry has been added to with each movie - just a line or two. The databank doesn't tend to re-write the whole summary- they just add a line or two. I've noticed a few have had the wording just slightly.. but They have never added nothing -except presently, with Kylo/Ben! Regarding Leia as Ben's mother and that story - do you think its possible that story may be in the new Jon Favereu live action tv series? that is set about 7 years after the battle of Yavin - after ROTJ and before TFA. I haven't read bloodline yet - you guys make me want to though, it sounds great! He's a shapeshifter Thank you for compiling these! I personally find them really interesting. 1. It took these people until now, 2.5 years after TFA's release, to figure out that he's been involved all along with the ST? Which is something this board spotted and understood from early 2016. Especially those of us who've seen his films like Body Heat. 4. To the above point, my favorite fan reaction is a certain vocal TLJ/Kylo hater (because it's 'inconsistent' with their idea of what the ST is supposed to be about) going off on a tirade on social media about Kasdan's role in shaping the ST because of a recent newspaper article here in the States and tagging the journalist. Who very politely but pointedly replied with "Sorry, what point are you trying to make here by including me?" What you wrote was a perfect summary of what's going on with the ST and Solo insofar as his role as a writer and also 'making things right' for ideas he had for the OT which were vetoed (like Luke going off the grid b/c he's seen too much sh*t to function in normal human society). I'd also say it's far better written and more clear in presenting argument/evidence than anything I've seen in various clickbait explainer articles and hot takes about the ST. Like you should try to get this published. 1. It took these people until now, 2.5 years after TFA's release, to figure out that he's been involved all along with the ST? Which is something this board spotted and understood from day one. Oh my god, thank you soooo much! I really appreciate that compliment, although I don't have any real desire to try to get it published, but maybe I'll crosspost it on my tumblr blog. Just thoughts that had been swirling around in my head for a while brought upon by the Solo release. I'm really interested to see how Solo informs and enriches the ST as well as what it means going forward, particularly as Kasdan is involved in both. On your other point, the fanboys are either still too deeply enraged with TLJ to engage in anything approaching objective analysis or as usual, as seen in most of these articles, only approaching the text at a surface level, leaving them far behind (2 years again) and then no doubt blindsided when the concluding chapter is released. I mean just literally yesterday I saw a Mashable article entitled 'Star Wars, stop trying so hard to make Han's lucky dice a thing' or something to that effect to which I facepalmed so hard. Way to miss the entire point. Even without Solo it has a lot of emotional symbolism and resonance tied to it within TLJ alone. I think it also feeds into the whole 'they're making it up as they go along' narrative which has so completely taken over the fandom. George Lucas' didactic style of the prequels has sapped the ability to take anything beneath a surface level for these fans. Edit: I saw that tirade. It was so weird, because like the journalist, I had no idea what they were getting at. Seemed very subtweety/shady to me. That TLJ hater also tweeted a thread about how Rey's character in TLJ was used for Luke and Kylo's manpain. Just admit you don't like Kylo lol. @Kylo Rey wrote: I think it also feeds into the whole 'they're making it up as they go along' narrative which has so completely taken over the fandom. George Lucas' didactic style of the prequels has sapped the ability to take anything beneath a surface level for these fans. It really is bizarre that the same people who hate the prequels with a burning passion 13-19 years after they came out are in a complete prequel mindset. Everything needs to be spelled out at every moment, yet at the same time, they hate that everything was spelled out in the prequels. Movies need to show, not tell. Though some might argue the ST is so into not telling that they hardly show Rey's motivations either! And I'm really looking forward to statements from JJ now that Solo is out and IX is the next SW movie, so that plotgate can just go and die. Or maybe I only dream. @Kylo Rey I think you should at least post it to your blog because as we well know, people do lurk here and steal content from the public areas. Especially content that involves somebody else's hard work, like writing or translation. But I'm serious, what you wrote was excellent. Certainly better and more clear-sighted than that dumb Mashable article, which definitely misses the point. If you understand what story the ST is telling and how Solo ties into that, it makes complete sense why the dice are being used as a motif between the two films. A story, which to your earlier point, unfortunately, hasn't made much use of Leia's role as both a mother and a daughter beyond the "New Vader" and "too much of your father's heart in you, young Solo" line. I think that's why a lot of us are hoping for a re-cast, so they can do justice to at least telling a story about the relationship between a mother and her child. I think if you understand what the story is for the ST, about a father and son, then that's a far more informed and persuasive argument about how SW continues to drop the ball when it comes to mother. Your "just admit you don't like Kylo" line, LOL indeed. 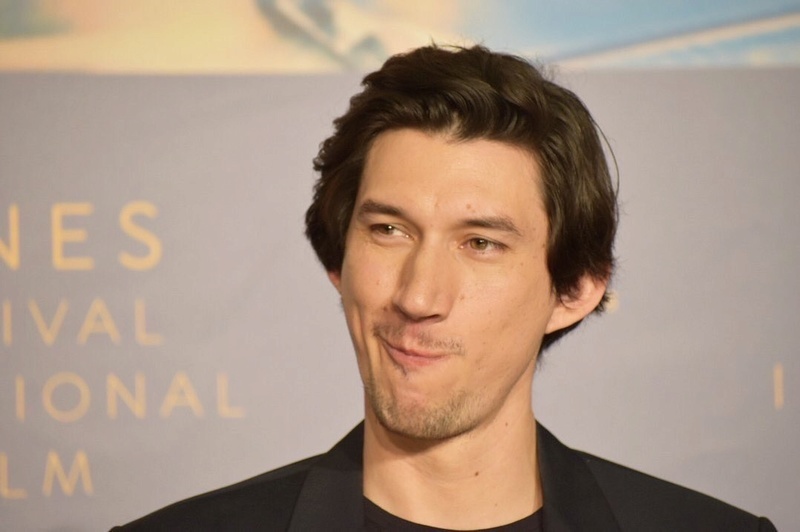 There are a lot of fans/BNFs who assumed the ST would be about Rey Solo, pivoted to Rey Skywalker when that got dusted, and now it's either "the big reveal in IX has to be that she's related" or like that person, they just double down on hating Kylo. Instead of just recognizing what the writers have been doing and criticizing that for sidelining Leia in what should be her story as one of the few mothers in Star Wars to not get killed off and exist on screen. Not sure if this is the right thread, but I saw this article and thought to share it with you guys. @roguepixie wrote: Not sure if this is the right thread, but I saw this article and thought to share it with you guys. This article is flippin awesome. thanks for sharing! What a novelty to read something I 100% agreed with!